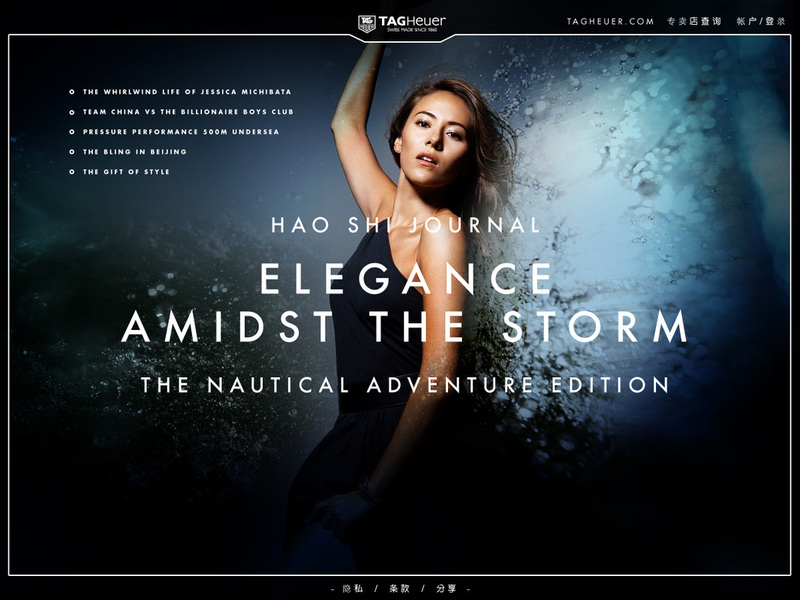 This is the Hao Shi Journal, an online lifestyle magazine to entertain, educate, and empower the young rising elite of China. 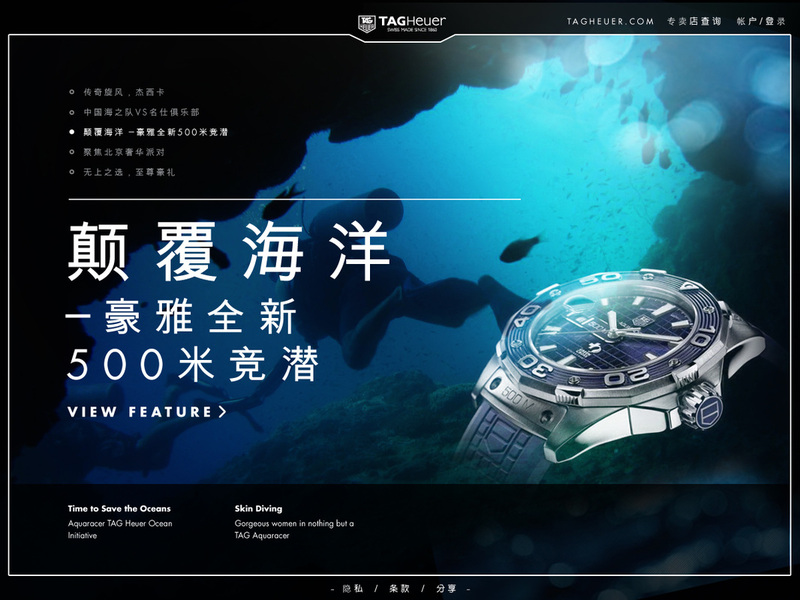 These consumers preferred the traditional luxury brands or watches that were ostensibly more elegant if inferior timepieces. 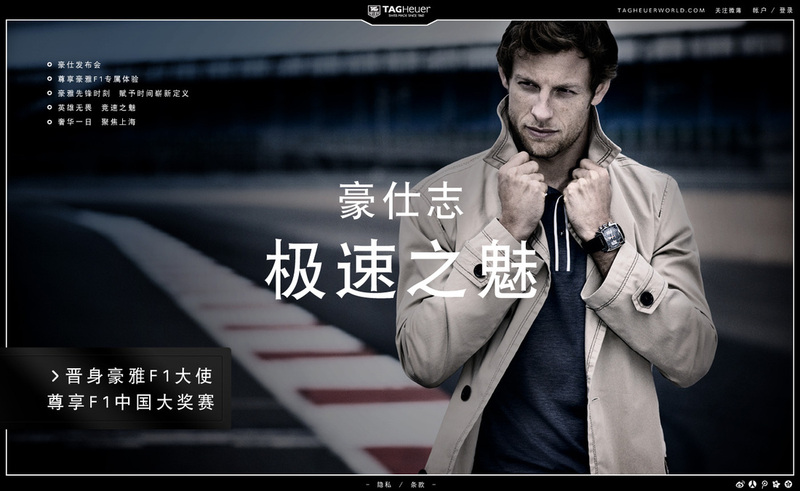 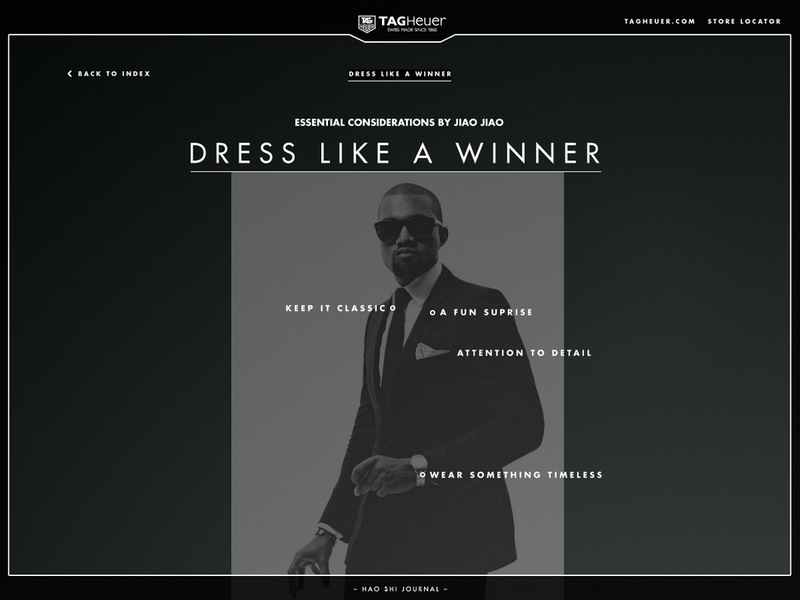 So, we created this to drive favorability for TAG among the younger Chinese and help them understand the gentleman-sportsman aesthetic of TAG, by building around exciting content, global and local personalities, and expert advice. 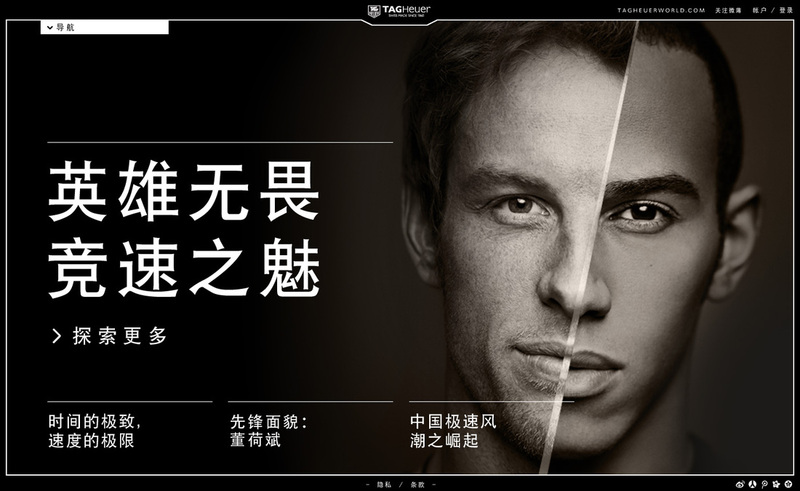 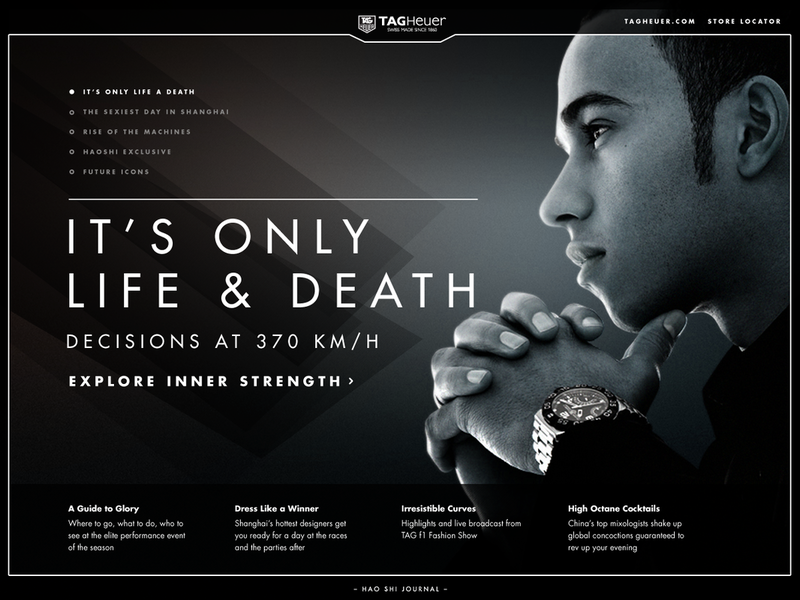 Issue 1 subject matter was the Chinese Grand Prix in Shanghai, and Tag Heuer personalities Lewis Hamilton and Jensen Button. 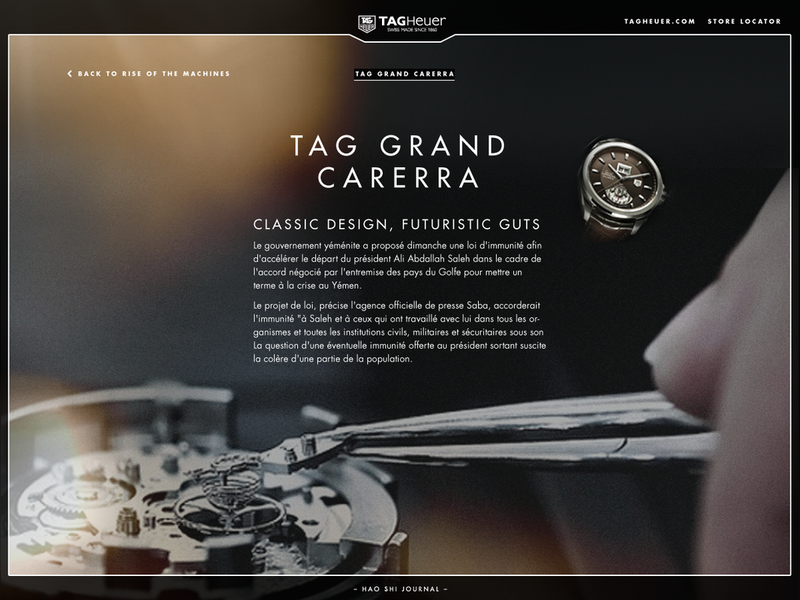 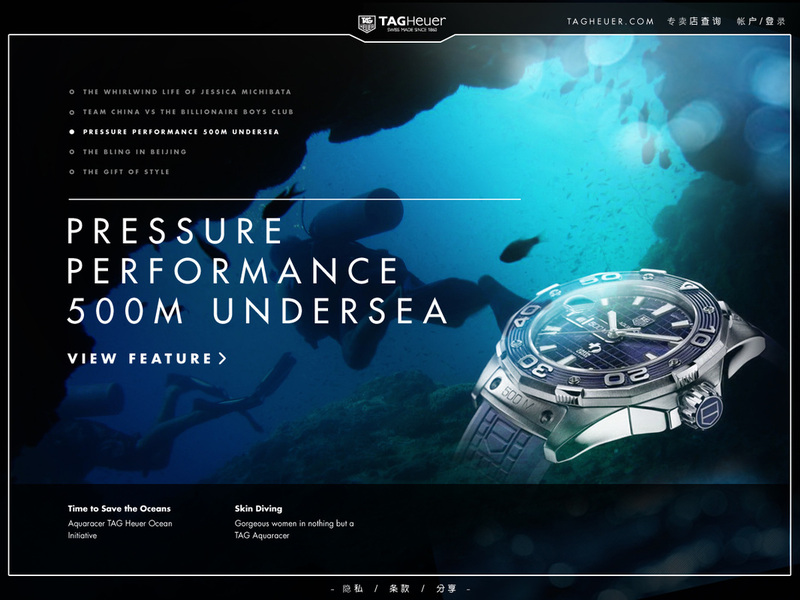 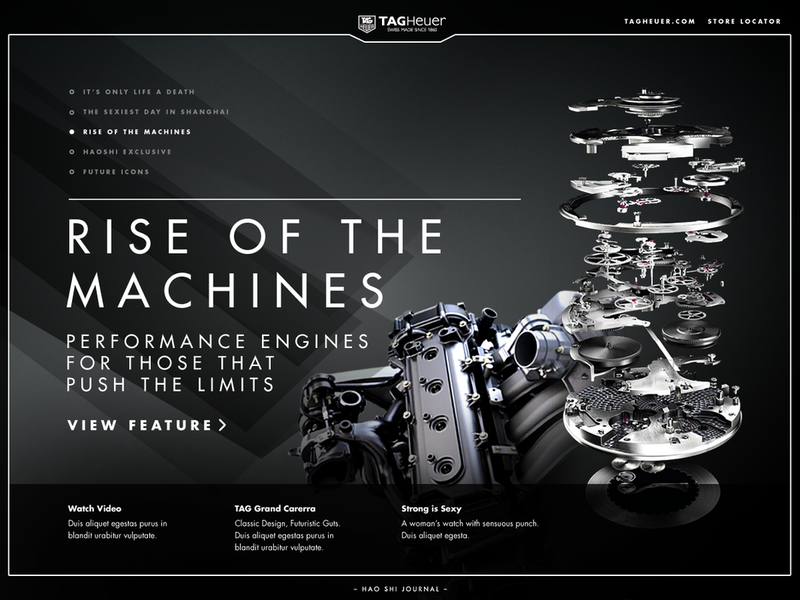 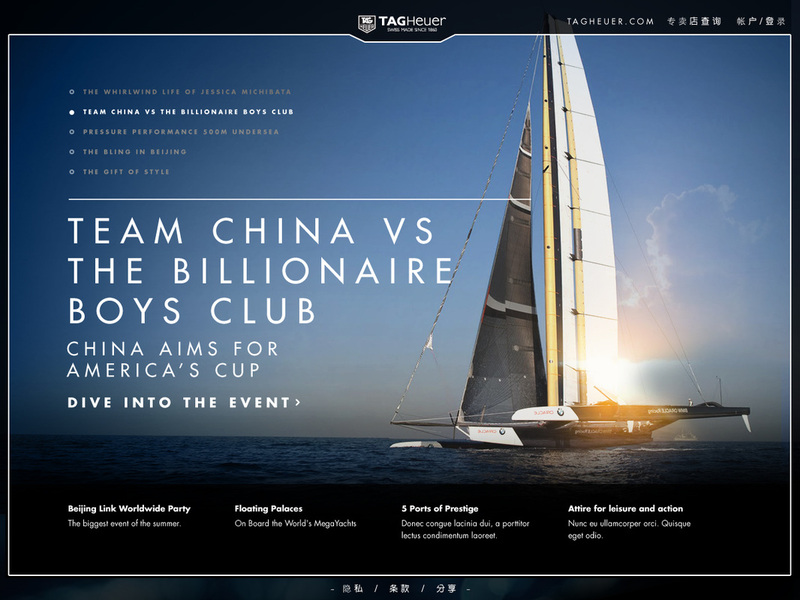 Issue 2 centered on the America's cup, nautical watches, and the Beijing release party for the new TAG Heuer line.